A Disney cruise ship has collided with the pier in Nassau, Bahamas causing damage to the stern of the ship. The Disney Dream cruise ship collided with the Nassau pier which occurred during a port of call on Saturday, September 30. The collision was first reported by The Disney Cruise Line Blog which featured posts from social media. 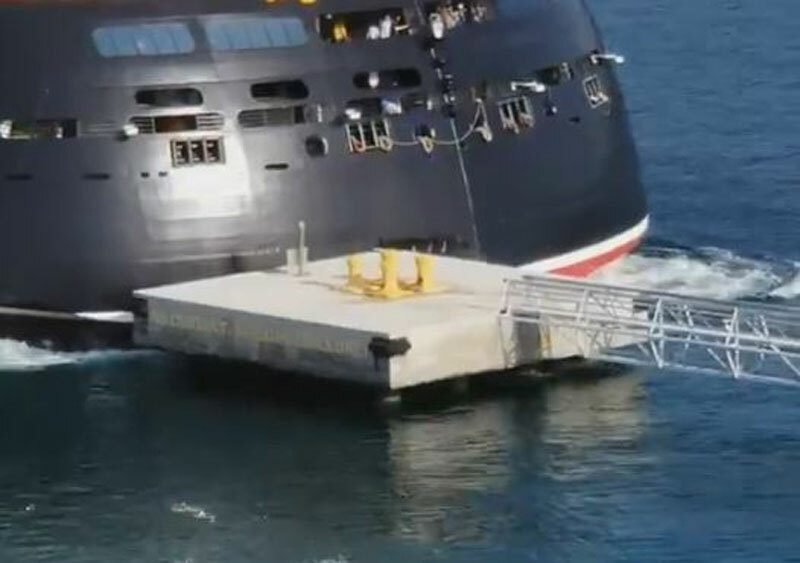 YouTube user Scott Lewitt posted the collision where the large Disney cruise ship can be seen maneuvering but is too near the end of the pier in Nassau, the ship made heavy contact. Disney Dream was moving into its docking position at the time. It is not known how the collision occurred or if it was just a mistake but we do know is this sure will be investigated by the cruise line and port authorities for sure. The damage to the hull does seem to be above the water line and thankfully no injuries have been reported. Disney Dream is sailing a 3-night cruise to the Bahamas out of Port Canaveral, Florida. The ship is expected back at its home port on September 2. The ship is 128,000 gross tons and can carry 2,600 passengers at double occupancy.